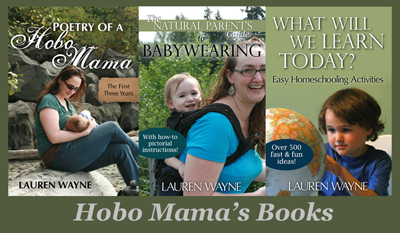 Hobo Mama: What's your favorite park? Vote to make it America's favorite! So that's my park. That is the one that inspired me enough that I knew I wanted to keep living within walking distance of it as long as we could, and so we bought a little condo half a block back. We knew we wanted to be able to walk out our door and to the water. We don't have a backyard, so we knew we needed inspiration to get out the door and be active with our kids each day, and living so near this beautiful park is what gets us motivated. I've lived near other beloved parks (one had a wooded and fern-bedecked ravine that was positively primeval) and we've visited plenty of inspiring ones, so I know the competition is packed. Which park makes you happiest? Which park is the one your kids connect to — with their favorite trees, or dandelions to pick, or playground to scale? Which park is the one you invite your friends out to to toss around a Frisbee and grill your favorite foods and get messy from watermelon as you see each other's kids grow bigger and braver each summer? Here's the kicker: Which park could use — get this — $100,000? Coca-Cola's Live Positively initiative is giving away just that much to America's Favorite Park. And YOU get to decide which park that is! The second- and third-place parks get good prize money as well — $50,000 and $25,000, respectively — so if you have a park that's dear to your heart and could use some money to improve or maintain it, go and nominate your favorite and then invite everyone you know to vote for the park you all love. Last year, park supporters cast more than 13 million votes for their favorite parks. The winner? Oak Park in the small town of Minot, North Dakota. Community action was the secret of their success. Everyone in Minot got involved and campaigned for Oak Park. They held events in the park, mobilized through online communities, and got hometown celebrities involved. So start thinking now about how you could spearhead a community-wide campaign to get your park one of the grants. Head to the Live Positively site to start voting, and stay tuned for another post with specific advocacy ideas. I know which park I'm voting for. Tell me about your family's favorite park! Disclosure: This post is sponsored by BlogHer and Live Positively. Hi, what a lovely idea. I live in the UK so if I voted it would be based on my limited knowledge of the US. I have visited Seattle a couple of times as I have family there. We have a wood near us I would vote for, we walk there once a month to observe the changes over time, we picnic, make nature pictures, build dens, make hot drinks when cold and generally enjoy being outside. My favorite park is Willis Tucker. It is close to our house. I run through it most every day. There is a wonderful, large off leash dog area. The playground has a cool spider web that is really tall and scary to climb. There is a pond to catch tadpoles, a sandbox to dig, and woods to build forts. They host a small farmer's market in the summer. There is also a splash pad, but we kind of avoid it, because it gets way too crowded.